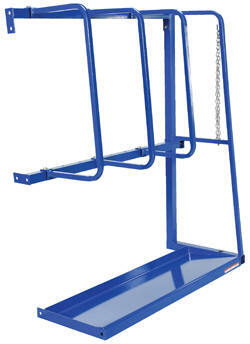 Designed for storage of long parts close to the worksite. 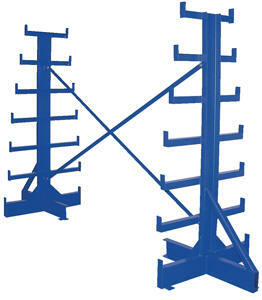 Long pieces stack vertically while shorter parts are kept horizontal on the three pan shelves. Designed to be placed up against a wall. Unit is supplied with lag down points. 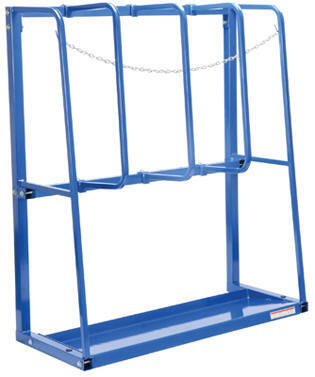 Includes a restraint chain to hold items in each bay. The capacity is 3,000 lbs. when evenly distributed. Bolt together design with blue painted finish. Some assembly is required. Designed for storage of long parts. Designed to be placed up against a wall. 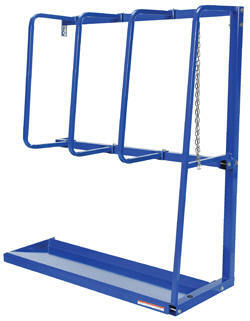 Order starter rack then extension rack for added width. 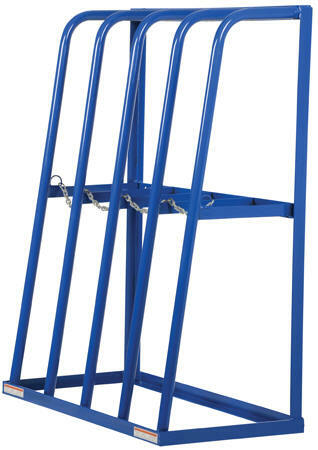 Each rack includes three (3) adjustable dividers. Multiple units may be joined in-line or back-to-back. Total uniform capacity is 4,000 pounds when evenly distributed. Welded steel construction with blue painted finish. Ships knock-down, assembly required. Requires two (2) anchor bolts, sold separately.